The 75 Ball Draw will take place at 8.30PM (EST) every Wednesday evening and 90 Ball Lotto Draw will take place 8.30PM (EST) every Sunday evening. They wait for the last bingo game to finish, then begin the 75 Ball and 90 Ball Lotto Machine. The first six Balls called are the Lucky Strike numbers – match all six of these and $10,000 is yours!! The next six balls called are the Golden Bonus numbers. So long as you have at least two Lucky Strike numbers, match them up with Golden Bonus numbers in the right combinations and there’s lots more prizes to be won! Join them from now through 10th October to build up your ‘Yes’ votes from Sunny and get your FREE cards to the Sunny Factor Final! The game takes place on 12th October and a Plasma TV and Home Cinema System, iPad Mini and iPod Nano will be up for grabs. Win fun-filled prizes every day! There are some great prizes up for grabs so play Game Show Bingo for your chance to win! How to Play: Bingo on the letter ‘M’ for Mystery and the mystery prize is yours! Head to the Prebuy tab in the lobby to snap up your lucky cards. 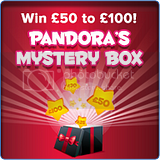 Prize: A mystery prize worth £50-£100! Prize will be announced after the game! Best promo for: Curious kitties and surprise lovers! Celebrate Chocolate Week with the sweet slot Rich Treats and you can get a £5 bonus! Enter bonus code TREATS between Monday 14th and Sunday 20th October and when you spend £5 on Rich Treats, you will get a £5 bonus back. Canadians celebrate Thanksgiving on the second Monday of October since 1957, as a special holiday when people give thanks for a good harvest and other fortunes in the past year. This is the perfect occasion to savor lots of traditional goodies: turkey, pumpkins and ears of corn. We invite you to be part of the celebration by enrolling in our tasty bingo promotion! Join them in the Fair and Square room on Monday, October 14th, between 7:00 PM and 8:00 PM EST, for special dancing games with variable prizes! There will also be prizes ranging from $50 to $150, so start dancing! It’s October and Halloween will be here soon. So get rich, get playfully wicked and prove you’re the meanest greenest wicked witch of the west all month long! Bingo on the special Witch Hat Pattern and win a Guaranteed $75 Jackpot! This will be a special cash-only game. Note the Game ID of the Witch Hat pattern you won and bring it to Live Help. Tell them you want the extra BB prize the BeWitchIng Bingo promotion and give them the game number. You’ll soon be several BBs richer! Also, along with the guaranteed $75 cash prize you can also win a $1,000 JACKPOT! That’s right, just bingo on the Slots pattern in 17 or less calls and take home $1,000 CASH! There are 1TG & 2TG games in the disco room from Monday to Friday. Everyone will be invited to dance to the greatest hits of 1TG & 2TG and "Super Free Bingo". All month long, deposit any cash amount where the pound value ends in a 7 or an 8 and you will receive a cash prize the next day. Deposits will also earn players 1 ticket into a draw to win one of two Kindle Fires at the end of the month. I love the special holiday themed games, thanks Froggy. Have your cake and eat it with Rich Treats and it's delicious exploding reels. Or maybe the £315,813 Jungle Madness jackpot will make you roar? Whichever takes your fancy, stake £5 cash on either game and you will get one entry into the £1 Million Slots Spectacular Prize Draw. This week they're giving away £100K! Foxy is absolutely golden with five days a week of Funshine Bingo jackpots! From Sunday to Thursday, he has daily sessions of £25 jackpots every 5 minutes! To take a jackpot and finish your game sunny side up, just bingo on a breakfast pattern! The patterns include; bacon, a fried egg, a sausage and a coffee mug. Tasty patterns for a tasty little jackpot!. RogersBingo is giving away another exciting trip! This week, they're giving away a very exciting Trip to INDIA and your every deposit can enter to win! To enter this great contest, you just need to be a member and make a deposit. Every deposit you make at RogersBingo automatically gets you Free Cards to Special Games, including the upcoming Trip to INDIA Giveaway Game! 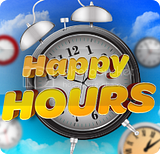 Win £200 worth of fantastic Love2shop vouchers when you play during the Happy Hours every Tuesday! Every Wednesday between 7pm - 9pm there is a bingo party in the private Penthouse room. This weekly treat is jam packed with free bingo... in fact they guarantee at least 15 free games! To qualify for your entry into this private party all you need to have done is deposited and staked £10 or more in the previous calendar week (Monday to Sunday). So for next weeks Depositors Party you need to deposit and stake this week. The high authorities have decided: it's time to make some extra cash! For this, the Ministry of Cash has generously opened its gates for all their lucky players! Don't miss out on the high level meeting they've prepared at the Ministry, where you can earn good cash! Start the day with important business about real money in the Ministry of Cash promo. The Dollar room will host a complete hour of fixed prizes that will blow away your expectations! Take a bite out of Paddy’s lunchbox every day, no corned beef sandwiches needed. Sit in the Gold Room between 12 p.m. and 3 p.m. where there are tasty games including 1TG, 2TG and 1TG & 2TG games, extra Roll On Bingo prizes and Last Chance Saloon feature games. Is your lunchbox looking unappetising? Swap with Paddy and take a bite from £/€10,000 in cash Bingo prizes instead. This week is Thanksgiving so take advantage of all the bingo specials! The Christmas promos are dominating this month so keep an eye on the Xmas promo thread. 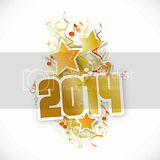 Have a Happy New Year and enjoy the bingo promotions! Nothing like rolling in the new year with Bingo promos! It's time to dive into a mystery adventure, in order to discover secret prizes! Join the Quarter bingo room between Monday, January 13th and Wednesday, January 15th between 5:00 PM and 8:00 PM EST, to explore a new mysterious challenge! They will be featuring 2 hidden prizes of $150th each, EVERY DAY! Among other treats, they'll also feature 2 dancing games per day with prizes between $40 and $90! Join them now! Join them for PENNY BINGO MONTH in the BINGO CAFE room for a full 12 hours of 1p bingo! You will be able to play games for 1p from 9am until 9pm on penny bingo day! What’s more every game has a guaranteed jackpot of £15. 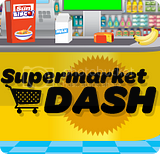 Supermarket Dash Dash around Sun Bingo and cross off the items on your shopping list for the chance to win one of 100 prizes of £100 cash! found this page I would like to share - NO LINKS ALLOWED - great offers - free bingo without deposit - quite some fun! The Rock ‘n’ Roll King has a kiss for you. Get a “Kiss Me Quick” surprise $1-$500 Bonus when you make a single deposit of $100 or more between 7pm-2am EST. Simply open a Help Desk ticket after making your deposit, pick a number (1-75) and ask for your “Kiss Me Quick” surprise bonus. Turn bingo on its head with these exciting new Reverse Bingo games! If you’re lucky with lines but never the house, then this is the game for you. They’ll reward 1 line winners with the lion’s share of the pot in Reverse Bingo games for just 5p a ticket. The games play just like a standard 90 ball bingo game but calling House means you'll win the smallest prize! Join them in the Specials tab at 6pm & 9pm for a minimum jackpot of £10 per game and get ready for some back to front fun! Is fashion your passion? Or do you like to spend your time wining & dining? Whatever floats your boat, the £150 Oxford St game delivers the goods! Get your ticket to ride for this game & you could win £150 worth of High Street or leisure vouchers! Game plays every Tuesday @ 8:45pm in the £150 Oxford St room & tickets cost just 50p. Remember to jump off @ Oxford St for your chance to win! The Nightly Coverall has double its prize! Join them every night at 11:00 PM for your chance to win the 11:00 PM Guaranteed $1,000 Coverall. The new coverall starts playing in 50 calls and every two days 1 call will be added. Pre order your cards for tonight now! Win Mel's favourite gadgets in these free games, exclusive to mobile and tablet! There's an iPad Air, a Kindle Fire HDX and a Samsung Galaxy Tab 3 up for grabs each Wednesday from 22nd January - 5th February! Get your free cards to each game by logging in on your mobile or tablet, then bingo on the coverall pattern to win that week's gadget! Over £200,000 in guaranteed Full Houses! Join the Bingo 90 fun this week because over £200,000 in guaranteed Full House prizes will be won in the Super Links!